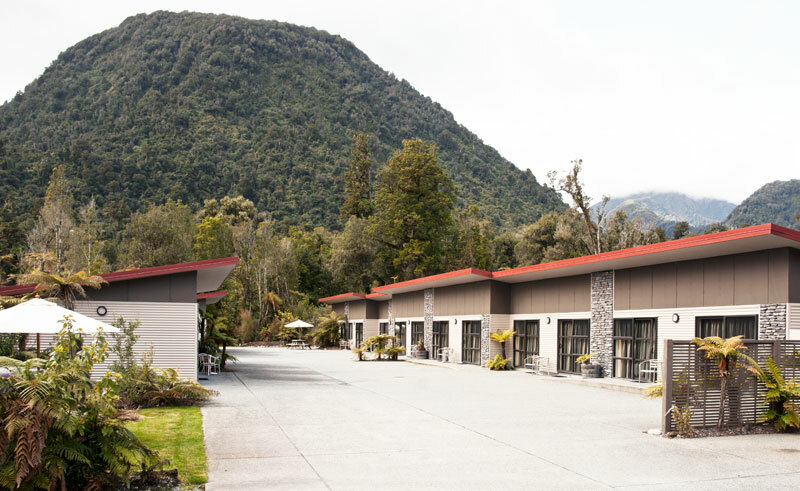 58 on Cron is set amongst beautiful rainforest with a backdrop of majestic mountains and is just moments from the glacial hot pools of Franz Josef. 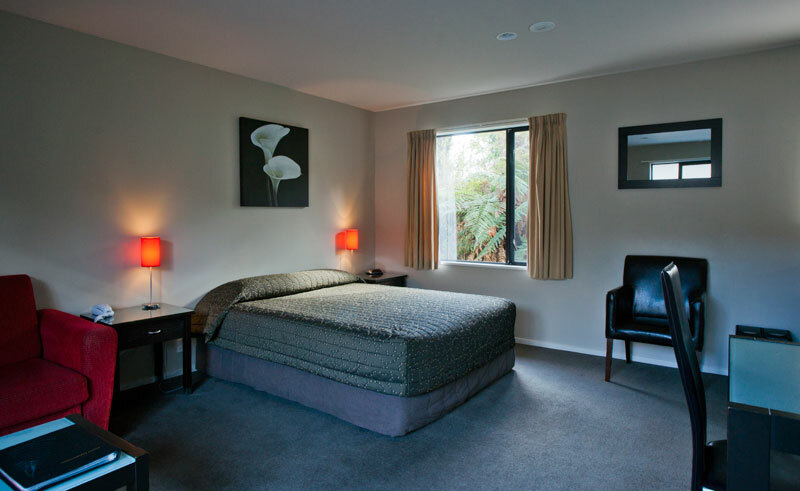 This peaceful setting is just a short stroll from the main village, allowing guests privacy and tranquillity whilst only being moments from the heart of Franz Josef village. 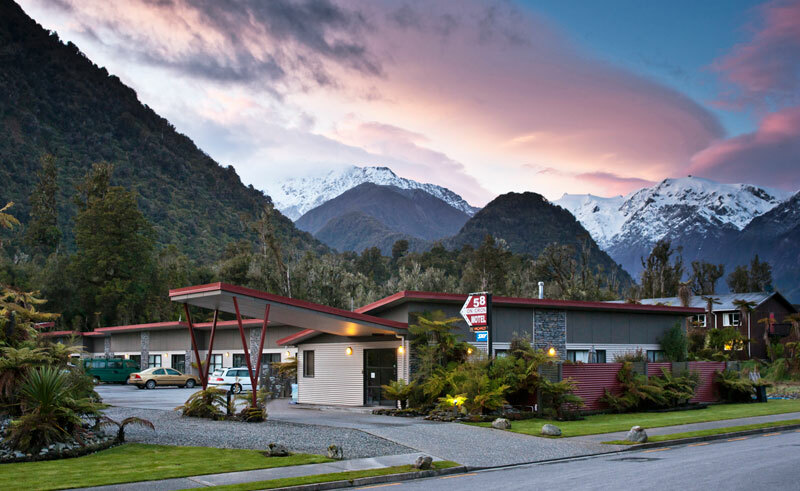 Spend the day exploring the neighbouring Franz Josef or Fox glaciers before returning to 58 on Cron to fall asleep to the sounds of the native bird and local kea who call the garden home. 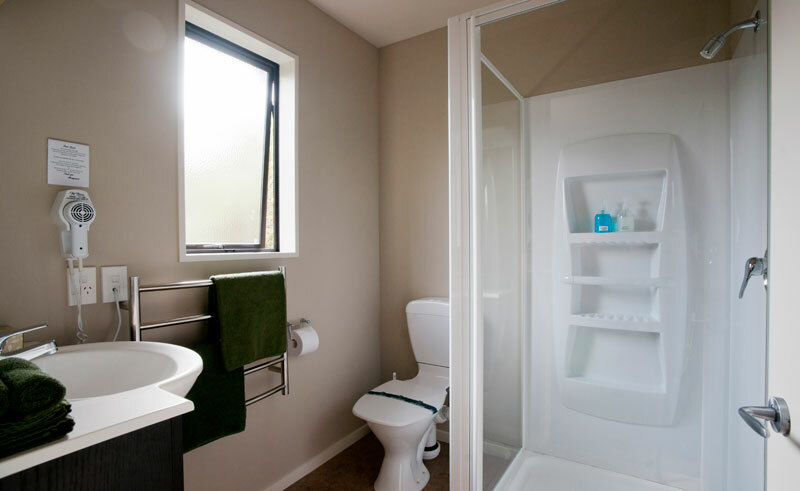 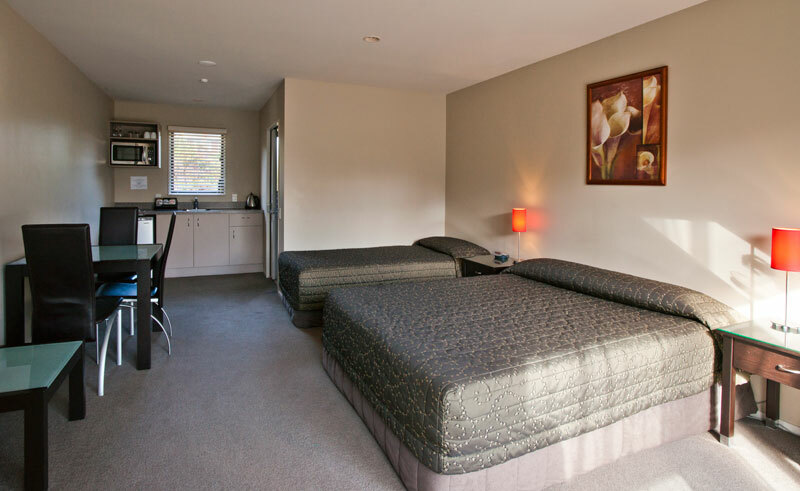 With a total of 16 units, all different and ranging from studios to 2-bedroom suites each with open plan living areas, kitchenettes and complimentary tea, coffee and hot chocolate, 58 on Cron Motel provides a comfortable and convenient spot from which to explore the wild west coast of New Zealand’s South Island.